Hello and welcome, Diane. Can you tell us a little bit about yourself? Hello Celine, thanks for having me! I’m 41 years old and live with my family in Linz, Austria. My husband Markus and me are blessed with two fun-loving sons, Marlon will be 6 in October and Jona just turned 4 years old. I work part-time at a big-four company in business valuation and studied business economics before. I spent a year in the US, in Hammond, Louisiana to attend an MBA program from 2003 to 2004, that’s why I love to chat in English, too! How did you start soapmaking? And how long ago was that? I started soapmaking in December 2014 – by accident. My sister bought some handmade solid shampoo bars online from a German soap maker. She ordered some for me as well and called it shampoo soap. When Christmas came closer, I had the idea to make shampoo soap and googled soapmaking. I watched some YouTube Videos and drove to a store for soapmaking supplies and bought everything I needed to make soap – also a book. I spent a fortune. Well, I’m not the kind of girl that starts soapmaking with a plain vanilla beginner’s recipe. I thought honey sounded very nice within soap and I wanted to use the honey fragrance oil I bought and additionally try a little swirl with pink clay and titanium dioxide. It was a disaster. I didn’t disperse the clay and titanium dioxide in any liquid, the fragrance oil forced seizing and my plastic eye protection with a mask (for surgeons) grew damp (I was maybe excitingly breathing or it was the fault of the freezing air since I was working outside in December due to lye respect) so I had trouble seeing that my batter had turned into soap on a stick. I made my first rebatch soap the day after and was bit by the soapmaking bug. Besides soapmaking, do you have any other crafty hobbies? A few weeks before Christmas in 2013 I asked my father to make small wooden puppets for me so I could paint them for Marlon (he was one year old by then), and as a gift for some friends with small kids like my friend Micha. 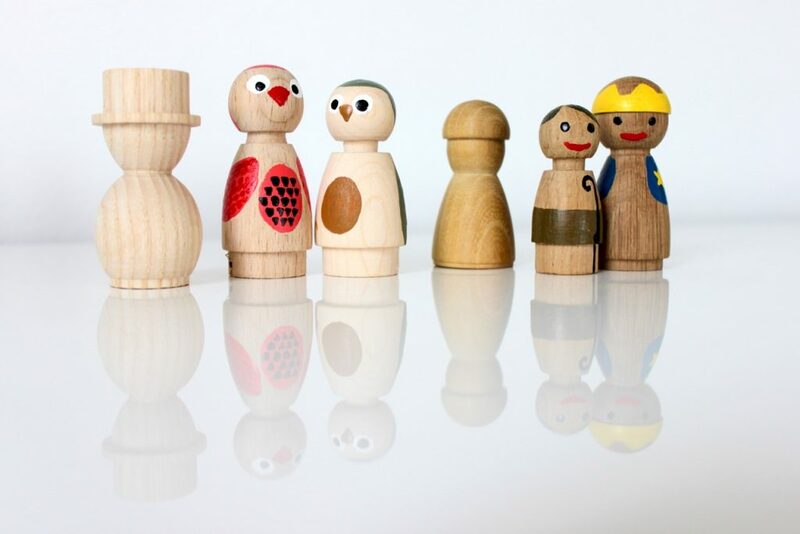 The wooden puppets turned out so cute, I had all kinds of plans with them like going into wooden puppet business. When I told my friend Micha a year later that I’m making soap for Christmas, she was laughing and asked me if this is this year’s wooden puppet project. I had various handcrafting projects before I started soapmaking. 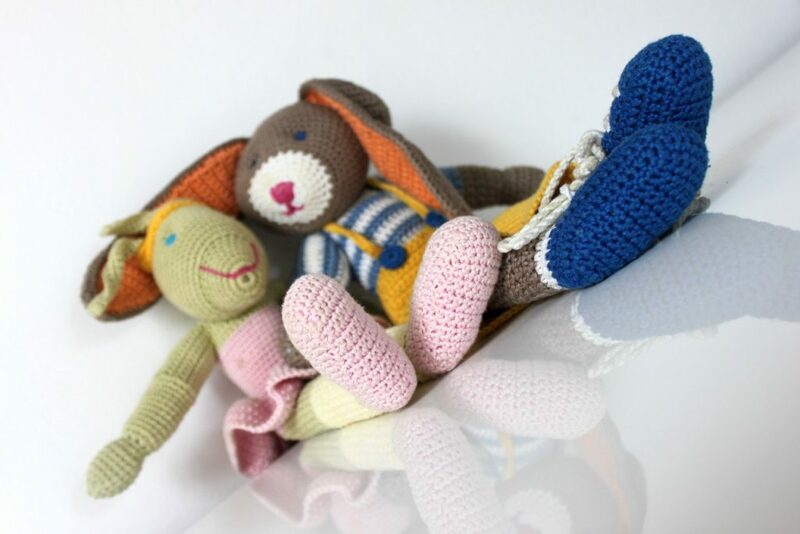 I was crocheting my fingers to the bone during my first pregnancy and made really cute puppet animals for the baby. However, since I was hooked on soapmaking, I haven’t done any other projects (besides gardening and cooking). If I don’t make soap, I watch other people making soaps (on YouTube) or look at pictures of soaps or read about soapmaking. Have you every toyed with the idea of turning your soapmaking hobby into a business? Yes, I thought about that because it’s very healthy to make your passion your job. Additionally, I gathered some information. Well, it’s not that easy to sell soap in Austria (and Europe) since soap making falls under the cosmetic law of the European Union. It forces you to meet a lot of regulation like getting your recipe and ingredients certified by a lab (on a cost basis) and using a soap kitchen that meets regulations (you can’t make the soap in your own kitchen). Additionally you have to keep book about all your ingredients, meet regulations for labeling, and so on. Since I’m a business economist I calculated that I either have to open a factory for soaps or keep it as a hobby and give my soaps as presents or make family trade-offs. My husband told me that it’s very good for your health to have a hobby that fulfills you, too. Soap making is my meditation, it calms me down and I love to give them away since they make everybody happy as well. Do you make any other bath and body products? Yes. Guess what: solid shampoo bars. When I googled the ingredients from the shampoo bar my sister bought for me, I figured that it wasn’t soap and started to google solid shampoo bars. I couldn’t find a lot of recipes online by then so I experimented a lot. Also, I make bubble baths for my sons and my family as well as bath bombs. Where do you draw the inspiration for your beautiful soaps? Actually, there’s a kind of “thinking in soaps” going on in my head. Inspiration comes anytime from everywhere – within forms, figures and colors. Additionally, I look at a lot of soaps daily, right now mostly on Instagram and I watch lots of soapmaking videos. There are lots of soaps on my mind, especially before I fall asleep. However, when it comes to soapmaking I’m very spontaneous and change plans short-term. Color schemes sometimes just pop up after I melted my oils. Also, the technique can change during the process depending on how the fragrance is behaving. You’re constantly trying out new techniques and ingredients. I’m sure not every batch turns out as planned, right? Oh yes! I can tell you a thing or two (or many more) about that. Being spontaneous doesn’t accord with soap making sometimes. After lots of cold process soap making I started being interested in hot process soap making. Two weeks ago I asked a friend that works in a rag shop if he has a crockpot there. He said that he has a rice cooker for me. I asked him if it’s made from aluminum since that causes trouble with soap. He told me that there’s a surface coating on the aluminum. I used an aluminum milk container as a soap mold before, that had a surface coating as well, so I thought that might be ok. No, it wasn’t! When I mixed in the lye solution the black surface of the pot was coming down into the soap. The next step was that I put the pot on the balcony to cool it down before I throw it away and put a regular cooking pot – that I normally use for soap making – into the heating part of the rice cooker and started all over (since it was 9 p.m. and I still had two hours left for soaping). What are online resources you use for soapmaking whether for formulating or inspiration? I mostly use an online lye calculator that is only available in German (www.naturseife.com). When it comes to blogs or channels that inspire me, there’s plenty in Austrian and German, as well as soapmakers from all over the world. 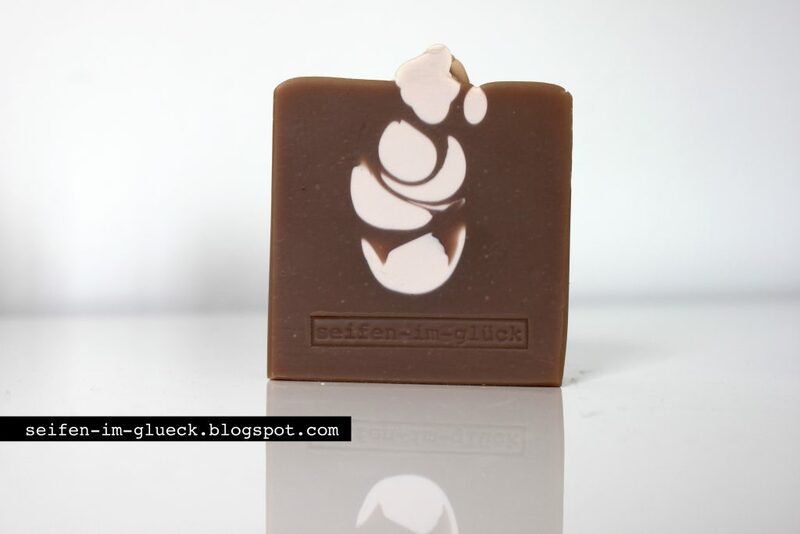 What I adore most when it comes to other soap makers is their signature on soaps, their personal style that makes their soaps unique and recognizable. When you see one of those soaps, you can definitely match it to the soap maker. I guess in some stage of your soapmaking you create your signature and your own recognizable style. That’s where the soap magic comes from for me. 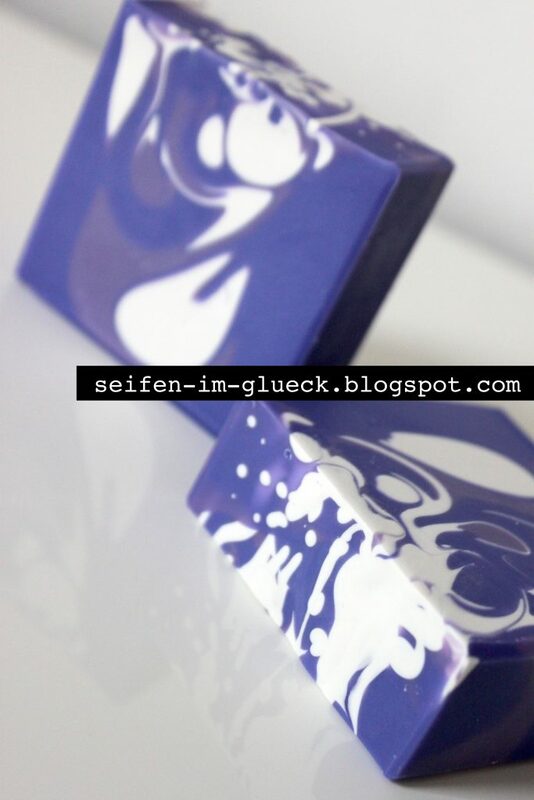 Fräulein Winter (www.fraeuleinwinter.com) – Christiane’s signature is to make beautiful, perfect and very accurate soaps. Verseift (www.verseift.at) – Claudia makes beautiful swirls and she varies a lot with all kinds of ingredients. Dandelion (www.dandelionseifee.blogspot.com) – It’s amazing how many different soaps Dandelion makes that show her very personal signature, independently from the technique she uses. Auntie Clara’s (www.auntieclaras.com) – She makes beautiful soaps that look so elegant. I love her blog, she’s a real soap scientist to me! Handmade in Florida (www.handmadeinflorida.blogspot.com) – It looks so easy how Zahida from Handmade in Florida makes her swirls on her YouTube Channel. Her soaps are so classy, it’s quite a challenge to get a swirl done that looks a little bit like hers! 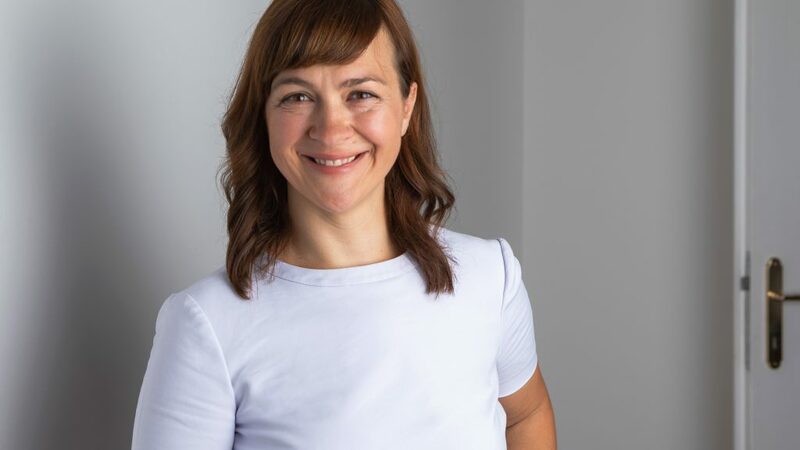 Ariane Arsenault (www.lafilledelamer.com) – she specifies on local ingredients that come from her island and she shares a lot of knowledge on her YouTube channel. I love her videos! Royalty Soaps (www.royaltysoaps.com) – I love Katie’s soaps, but most of all, I really adore her for living her soaping dream as an entrepreneur and for her personality. She is very entertaining! Vibrant Soap (www.vibrantsoap.com) – Clyde brings an artistic touch to soapmaking. He makes fantastic in-the-pot swirls and gives information to color schemes. 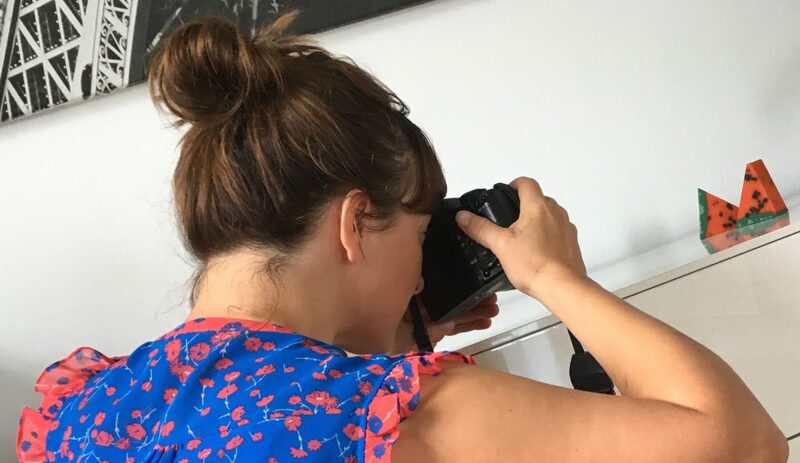 The soap gal – Joanna shows in her YouTube Channel how to scale up a soap business. Also a small batch hobby soaper like me can learn from her large batch tricks! 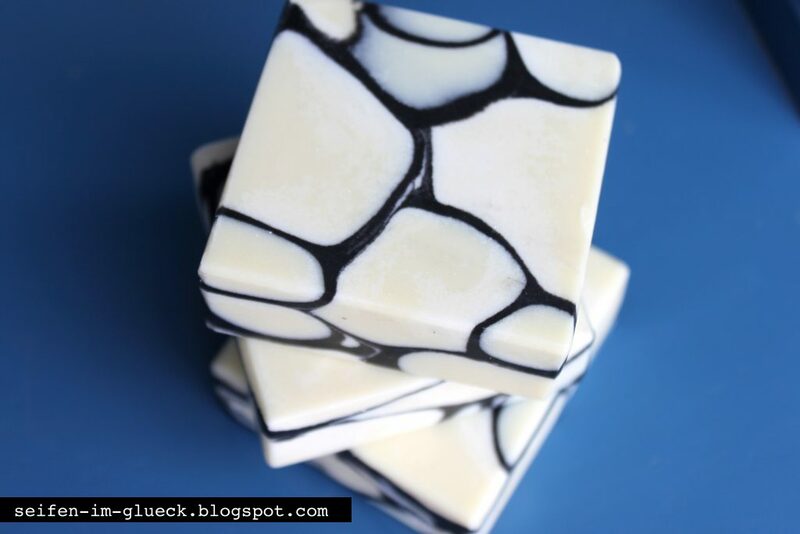 I really enjoy blogs from soapmakers that share their own special way of soapmaking. Nevertheless, I learned a lot from channels that give instructions like soapqueen.com, soaping101.com and many more, too. Especially, when it comes to basics in soap making, like lye safety. Additionally, I love old style hard copy books about soap making and read them over and over. I attended a soap challenge once that was a great experience! I’m glad Amy Warden restarted the soap challenge club this month and I hopefully have time to take part in the next ones! I use online suppliers from Austria, mostly. At www.naturschoenheit.at I purchase ingredients for my shampoo bars. Soap supplies I get from www.waldehoe.at. Two years ago a shop for cosmetic supplies opened just around the corner (www.naturkosmetik-werkstatt.at) and the owners are really nice. I buy ingredients there too. They have really good quality and I can touch and smell stuff before I buy it. Oils and butters I bought lately from Naissance via Amazon. I tried various German suppliers when I started soaping but haven’t ordered in the US yet since shipping costs vary between $50 and $110. I bought fragrance oils from Scentperfique in UK – the shipping costs were expensive, too. However, the fragrance oils were amazing (my favorite one is carrot blossom and fennel). What motivated you to start a blog and Youtube channel? That’s a good question, too. Two reasons. 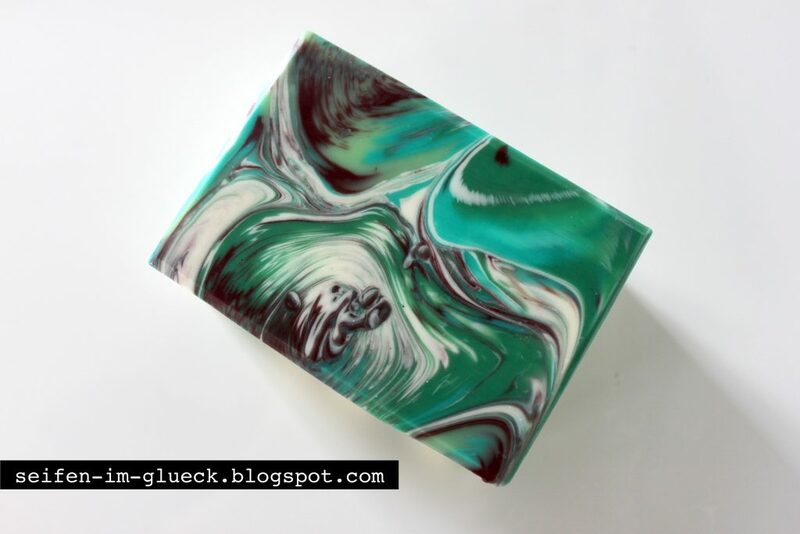 First, I used my blog as a diary for my soaps. I have a handwritten book where I write down my recipes, the date and ingredients. 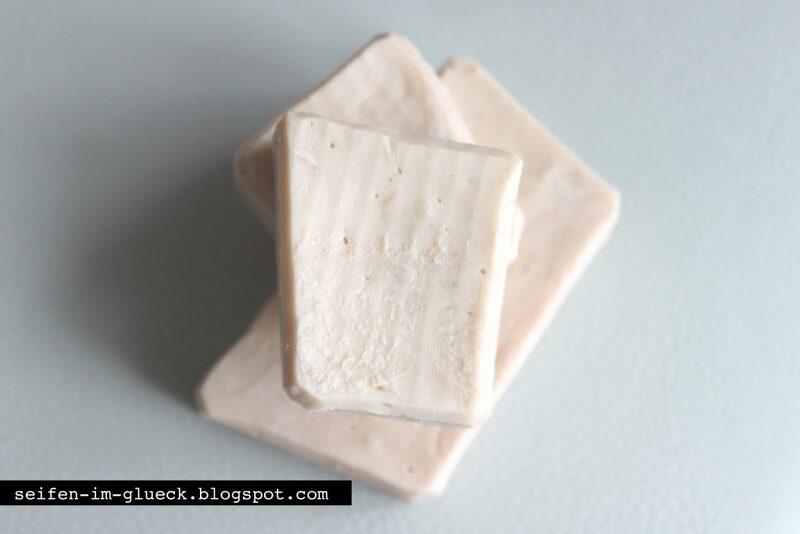 On the blog I put a picture, all of my recipes and some information in addition of the making of – I use it for remaking some soaps or vary the formulas after using the soap. Second, I needed somebody to talk to about my favorite topic: soapmaking! Writing about soapmaking is also a wonderful way to talk about soap. I made some videos on a YouTube channel as well but it’s quite time consuming. Since I soap only at night because of my small kids the light is not the best to make a video. Nevertheless, the kids will get bigger and that will give me more space for my soaping and more time for videos and blogging. You take amazing photos of your soaps (*swoon*). 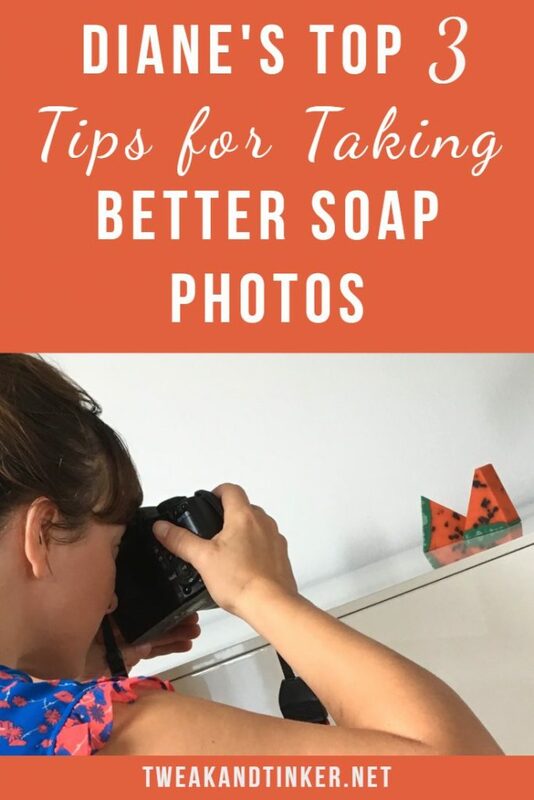 Do you have some tips for people that are new to photography on how they can take better pictures of their soaps and/or products? Thanks for the compliment. I don’t have any education in photography yet, but want to take a class in the future since this is something I really love to do. The light: I take pictures when I have daylight (natural light from the window) but no sun (directly on the soap) since sun makes shadow. I have a Canon EOS and use the macro modus for taking my pictures (flower sign). Then I press gently the release button and wait for the peep before I press harder and take the picture, the camera will focus then on certain points and there’s a soft effect on the rest of the picture. When the picture looks too dark, I do a color correction and lighten it up a bit, using the picture preview of the MacBook. Besides your family, your job and everyday life, how do you find time for soapmaking and blogging? I started soapmaking when my younger son was 3 month old, and it’s getting better and better. However, I only soap when the kids are sleeping or not at home – that’s a rare occasion but will be better in the future. Do you know what your next “soapy” project will be? Is there something you would really like to try out? Yes, there are plenty of soapy projects that are waiting for me. I haven’t made transparent soap yet, and just started to make hot process soap, there’s plenty of space for improvement. Also, I just bought some ingredients that I want to try in cold process soap: carnauba wax and aloe butter. I made a calendula infusion and there are some soap embeds waiting in „mum’s soap room“ (that’s how my sons call our storage room now). I’m on a wonderful soapy journey and there are so many things I want to explore! Thank you so much Celine, it was nice to get to know you a little bit while preparing this interview. I hope we can exchange our experiences in soapmaking in the future, I’m curious about your next projects and soaps! You can find Diane on her blog, on Instagram, on Youtube and on Pinterest.